The coming of the fourth generation of Kindle readers brought us a keyboard-free design. This promised to, and has proven able to, allow for the expansion of Kindle availability into non-Anglophone markets around the world. What many might night have predicted is that it would allow for the opening of language-specific Kindle Stores right here in the US. Amazon has now made available a Spanish Language Kindle Store. More precisely, looking at the organization of the store page, they have created a category that amounts to such a store. Clicking on “eBooks Kindle en Español” under the Kindle Store’s main page category listing will take you to the new selection. Featuring more than 30,000 eBooks already, this store page should open up whole new markets for Amazon. There are more than 45 million people in the United States who speak Spanish as a first or second language, a significant portion of which have only moderate English comprehension, according to census reports. Spanish is also by far the most widely taught second language in the country. There couldn’t be a better way to start expanding the Kindle’s offerings. The new store will allow KDP self-publishers to create books specifically for this audience by selecting Spanish in their language options when submitting. Kindle Owners are able to set their interface to Spanish by changing the language preference option at the Manage Your Kindle screen on Amazon.com. This last step is not necessary to purchase from this section of the store, but it may be particularly appealing for new potential Kindle buyers. We can’t say for sure that this will extend to more language-specific subsections for eBooks. Spanish has a special prominence here in the US in numbers that equal those of the next several most popular languages put together. Should it prove popular, however, there is not any reason for Amazon not to offer such a store. They have the systems basically in place, and it is hard to imagine that the ability to purchase Gombrowicz’s work in the original Polish would result in a sufficiently large rush to destroy the servers. Amazon Suspends Adding New Kindle Newspapers Due To Overwhelming Demand? The new rule for making a newspaper work seems to be maximizing its availability. This means that not only does it need to be at the local supermarket and gas stations, you also need to have editions available for the Kindle, Nook, iPad, general Internet, and more. Publishers are forced to jump through a lot of hoops to get this sort of availability built up and optimized for as broad a reader base as possible, but without that availability they tend to find themselves unable to compete in an age of increasingly all-digital, up-to-the-minute news sources. Amazon has been doing a good job, up until now, of accommodating as many newspapers as were interested in joining the Kindle platform. Second only to iPad in terms of its subscriber base, papers are under a lot of pressure to make sure that they can maintain a place. So many have realized this that Amazon has been forced to temporarily suspend new publications until they can get things under control. Multiple sources are now noting that newspaper publishers are being turned away. The situation is reported to be “not permanent but may be long term”. Amazon has responded by denying the existence of such a move, but then explained that they are running behind and can’t get to new things very quickly right now. Their suggestion for distributing to Kindle customers is to ask publishers to build themselves an app and submit it to the Amazon Appstore for Android. Naturally this won’t be a huge comfort for many publishers. The Kindle eReader is by far the more widely distributed product at the moment, even if the Kindle Fire is quickly catching up, and that whole branch of the product line would be unreachable through Android perpetually. Also a factor is that any number of newspapers has been working hard to get their product in compliance with Amazon’s Kindle Newspaper guidelines with the express intent of reading the eReader side of things. To completely shift focus and abandon existing efforts in favor of an Android app seems less than ideal, when it would work at all. The Kindle Store’s Newsstand currently stocks around 200 papers, with more being added all the time. While we can’t know the underlying cause of Amazon’s sudden hold on expansion, there are some speculations that make sense. Possibly it is a matter of volume, given that this is something that requires trained oversight from Amazon staff to ensure quality integration. Also possible is the idea that this will force publishers to adopt KF8 and optimize for the Kindle Fire. Regardless of whether either of these actually works, it is hard to imagine that this is a major profit-building area of Kindle Sales and so it is highly tempting imagine a tactical move taking place here. For now, what publishers have been pushed off are trying to work with Amazon to figure out where their options are. In the near future, we may find that only the biggest names in newspaper publication are available on the Kindle anymore. Now that J.K. Rowling’s last major addition to the Harry Potter experience, the Pottermore site, is about to go live, people are starting to get excited about the series all over again. The Pottermore Beta is ongoing, but things have advanced to the point where the eBooks are finally available and launch is expected some time in April. Kindle owners can now pick up the series right through the Kindle Store’s product listing, or by going directly to the Pottermore shop. Oddly enough, the way Rowling has insisted on keeping control of her work entirely in the hands of her own site has caused Amazon some issues already. They have clearly made an effort to accommodate in order to get Kindle customers easy access to the collection, to the point of linking potential customers off-site to the Pottermore store, but launch did not go as smoothly as anticipated. 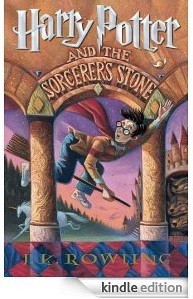 For the first several hours after Harry Potter came to the Kindle, any number of popular selections were completely unavailable for purchase. Anybody looking to get their own copy of the newer children’s book series, The Hunger Games, on Tuesday morning was presented with a large green button claiming that “This title is not available for customers from: United States” where the Buy button would normally have been. Presumably this only affected US readers, but I was unable to confirm either way before the problem was resolved early that afternoon. There is always some chance of error when attempting to integrate services between different major projects like this. That is especially true in the case of something as complex as Amazon.com and the Kindle Store. It is strange to think of Amazon having trouble with anything as trivial as accommodating the number of Harry Potter fans who wanted to read their favorite books on the Kindle for the first time, but sometimes the problem is a bit more complex than dealing with heavy loads. For the future, this has a few implications. If more major authors follow in Rowling’s footsteps, which seems unlikely but will always be an option, the staff at Amazon now have slightly more experience with integration and a good idea of some of the likely bugs that go along with it. This means that such business relationships will almost certainly go a bit more smoothly. It also might emphasize for people how important it is to always have multiple sales avenues. While Amazon’s service is second to none when it comes to self-publishers and readers, there is always a chance for error when dealing with a single source. Some authors choose, quite profitably, to go with the KDP Select option and increase their earnings through book lending. For those who aren’t going that way, it might be useful to maintain a secondary personal store just in case a glitch like this occurs. There are a lot of Kindle owners out there, many of whom would be willing to check author sites if the Kindle Store was offline. A lost sale is a lost sale, even if you’re talking about just a few hours of outage. What began as seemingly little more than an experiment to test whether or not there was a market for intermediate length written works, Amazon’s Kindle Singles program, has succeeded beyond all expectations. To highlight this fact, they have made a rare exception to the usual policy of never releasing sales numbers to reveal that the 2-millionth sale of a Kindle Single had been made. Estimates put the company’s revenue from the program at over $1,200,000 in the 14 months since the program launched. Unlike the larger Kindle Direct Publishing program, Kindle Singles are highly selective and can be extremely difficult to create. If accepted, however, they tend to be almost guaranteed successes. Those millions of sales were divided up among fewer than 200 short works. Considering that this is a form that had completely gone out of fashion and that many felt was at best of marginal interest, it is an amazing accomplishment for Amazon to have come so far with them. Now things are getting even better, thanks to an exclusive deal with Rosetta Books. 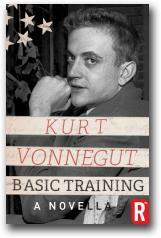 They have arranged for the Kindle Singles program to have exclusive access to a never before published piece by Kurt Vonnegut. Written in the 1940s, Basic Training is about 20,000 words and was intended to be published under the pseudonym Mark Harvey. It is a very early work by the author and while likely rejected for a reason at the time it was submitted, hence the never before published status, will be quite interesting for any Vonnegut fan. In a way this demonstrates how effective it is to have quality control factors involved in determining available selections. The average title in the Singles program is obviously doing better than the average KDP eBook. Potential readers know in advance that the whole library of Singles has been screened and approved, which removes some of the uncertainty that has plagued the eBook publishing scene for a while now. Nobody runs the risk of picking up what looks to be a good book and turns out to be nothing but a five page advertisement for questionable internet pharmaceutical sales sites. On the other hand, because this is such a narrowly defined category of books, the Kindle Singles do hold a certain special place that might make their example a poor one in terms of wider applicability. Much of Amazon’s success in the realm of digital publishing is coming as a result of offering any aspiring author to get their work out there in hopes that it can stand on its own merits even without the endorsement of a major publisher. If they were to seriously undertake gate keeping duties for the Kindle, it would undermine that aspect of the business. No matter how you personally view the situation, it is safe to say that this is positive information for those who find the quicker, more concise offerings of the Kindle Singles shop enjoyable. Sometimes it is just nice to be able to read this sort of work without unnecessary cutting or padding to fit more familiar forms.